This is a prototype design for a food franchise developer. The client has a deep passion for eye-popping dessert presentation. A business model that provides irresistible presentation for all dessert lovers. 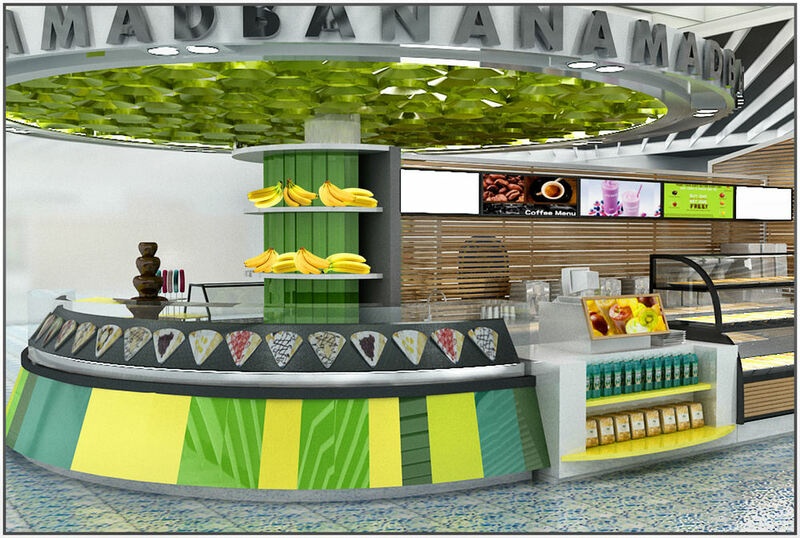 The design complex covers retail food services from coffee and tea, snacks and sandwiches, juices and smoothies. It also offers a lively bar scene. We envision successful franchise placements within department stores, airports, resorts and commercial building properties.